After a three hour wait at the Bezledy Polish / Russian border crossing our party was greeted with incredulity by both sets of border guards. "Why do you want to go to Kaliningrad, there is nothing there" says the Pole. "Why do you want to come to Kaliningrad, there is nothing here" says the Russian 100 metres further on. "But you have the Kurische Nehrung, a World Heritage site" I say with the help of a Russian friend. A blank look and a shrug and then we are in. Unlike the 99% of Poles crossing the border we don't head straight for the nearest petrol station - instead we begin a fascinating and throughly enjoyable road trip. 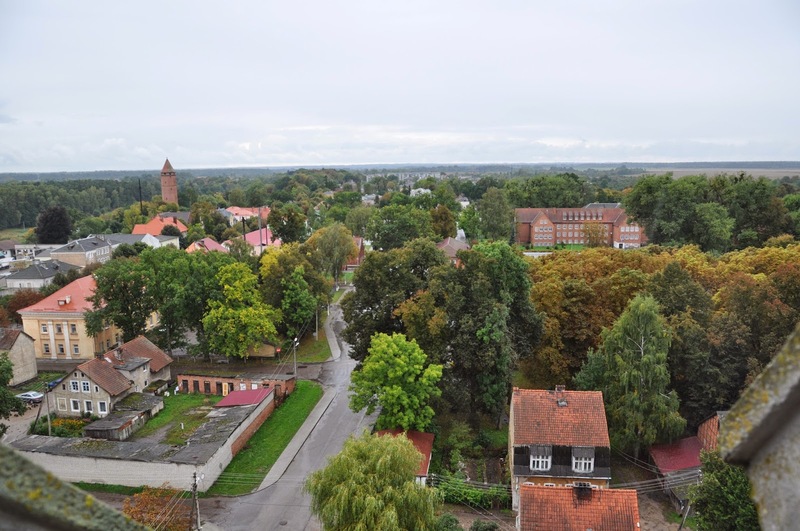 Our intention was to complete a circuit of most of the principle towns in the Kaliningrad Oblast. Our first stop is at Bagrationovsk (Prussian Eylau). 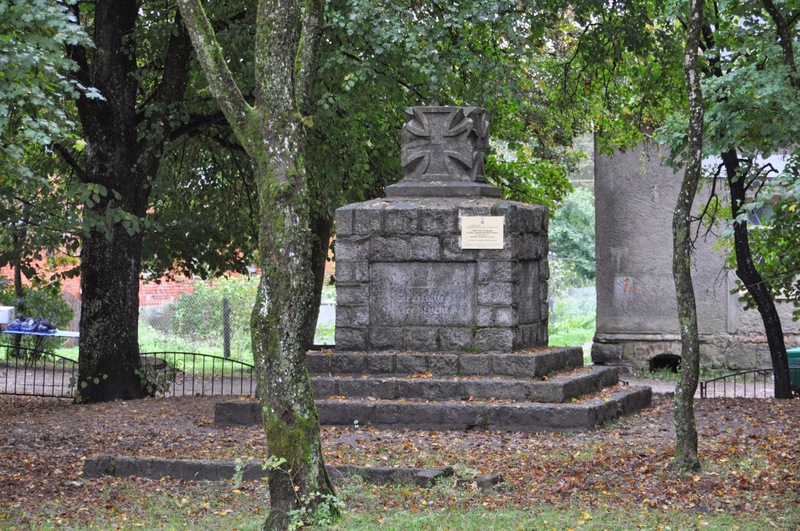 The monument to the epic Napoleonic battle on 7th & 8th February 1807. The place where two 75,000 strong armies fought themselves to a bloody stalemate is marked by an impressive monument. 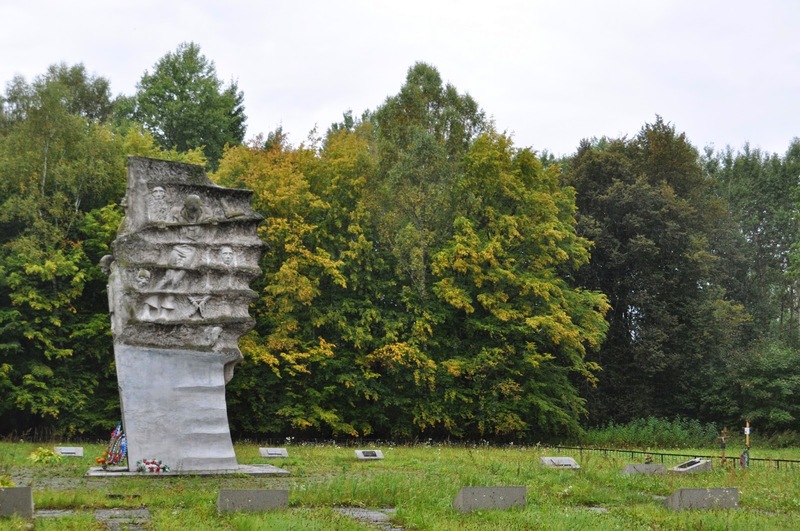 Another monument some 5 km outside of town marks the site of Stalag 1A, one of the earliest Prisoner of War camps built by Polish PoWs. 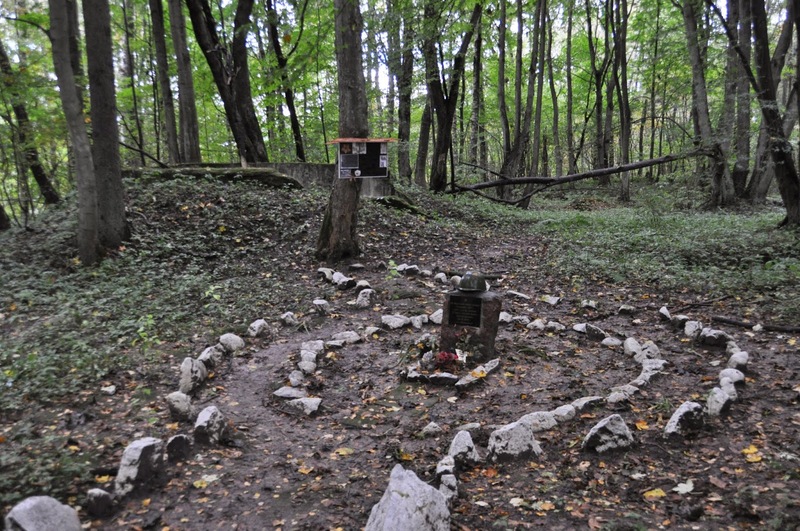 This depressing site marks the place where Poles, Belgians, French and Russian PoWs endured captivity and, for many, death during the 39 to 45 period. There were even a few Brits interned there. On the road between Zinten and Prussian Eylau we came across a small memorial besides a destroyed bunker at Domerau Castle. 32 bodies were recently discovered by 'black diggers'. One man has been identified, 31 remain unknown. All are Russian. 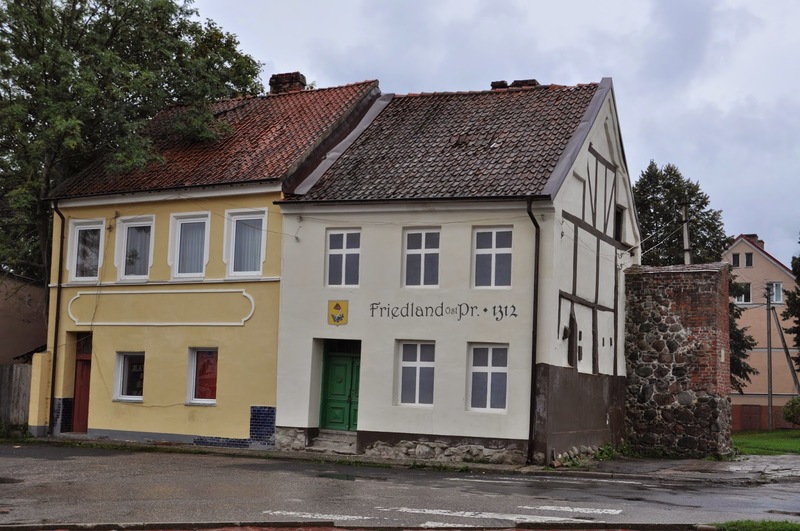 Our next stop was the town of Friedland (Pravdinsk). This was the first place where we saw Prussian heritage being preserved. Firstly in some of the lovely old town houses and secondly in the old red brick church. The vast majority of churches in Kaliningrad have been left derelict with many being used to house animals. Pravdinsk is different and one can actually climb the tower to get a good view of the town. 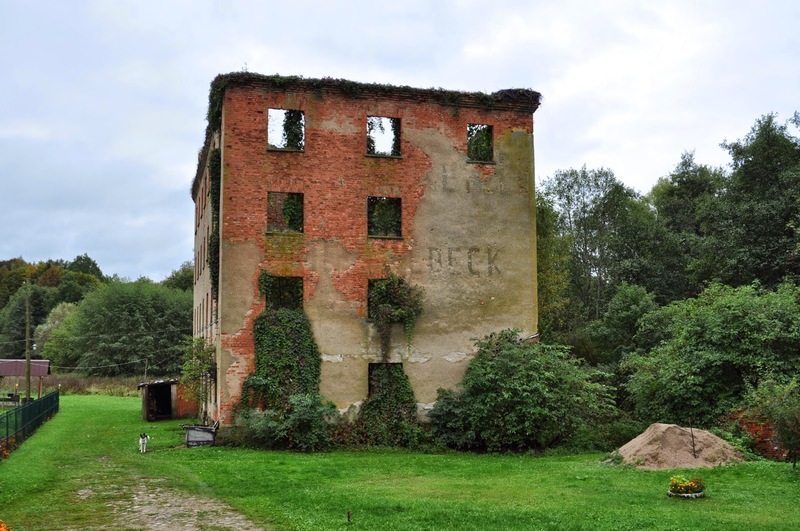 Throughout Kaliningrad one comes across derelict Prussian houses, churches and factories. I asked one of my local friends, why this is so. They said that many locals feel that the original owners might make a claim one day. Gerdauen (Zheleznodorohny) was our next stop. 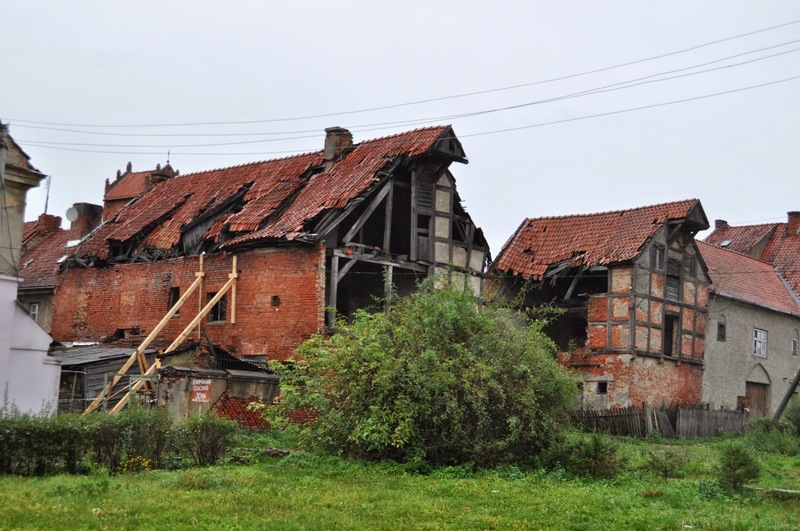 Again we saw examples of old Prussian architecture being protected from further damage. In particular, two lovely old town houses with giant beams in place to prevent structural walls collapsing. I would imagine that Gerdauen was once a beautiful place. Certainly there is a lovely vista of the old derelict church from across a picturesque lake. The old castle has been destroyed but it is easy to spot the original driveway and gate. Travelling North East from Gerdauen, one reaches Insterburg (Chernyakhovsk). 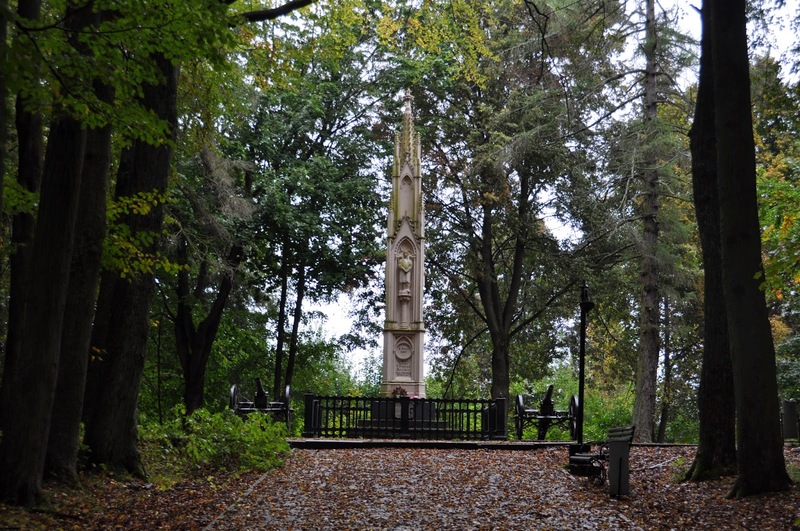 It's perhaps surprising that some German WW1 memorials survive in the Kaliningrad Oblast. The most surprising one of all is the striking memorial to the German 12th Cavalry Regiment in Insterburg. Whilst Kalingrad Oblast is a relatively small region, it is not really possible to do a full circuit in one day. 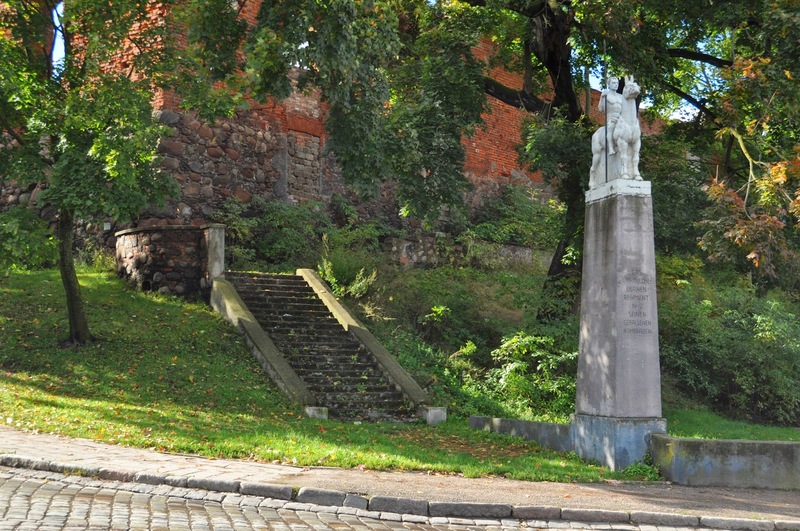 Many visitors write Kaliningrad Oblast off on the basis of a visit to the blighted city of Kaliningrad. However the countryside is much more interesting and the most Easterly part of our journey was the most fascinating area of all. 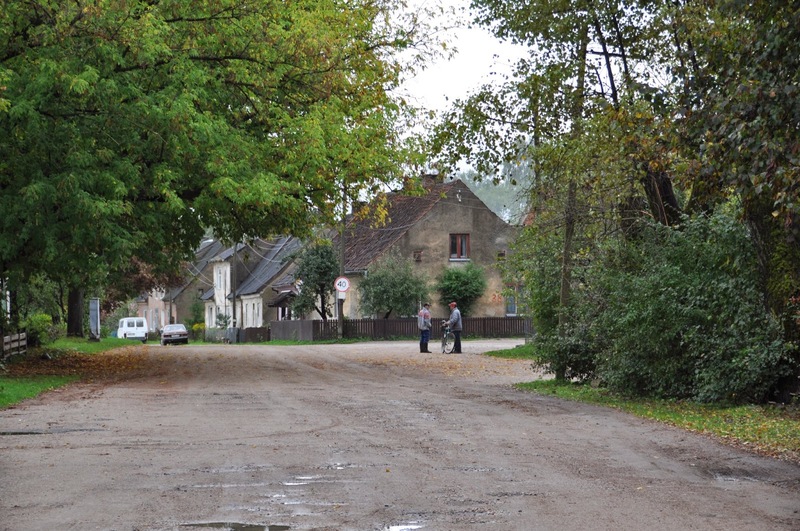 Rominten (Krasnolesye) was the old hunting grounds of the Prussian kings. It also lives in infamy as being the second home of Goring during the war. The hunting lodges, including Gorings' have long since gone though a remnant of the latter remains in the excellent little museum in Krasnolesye. 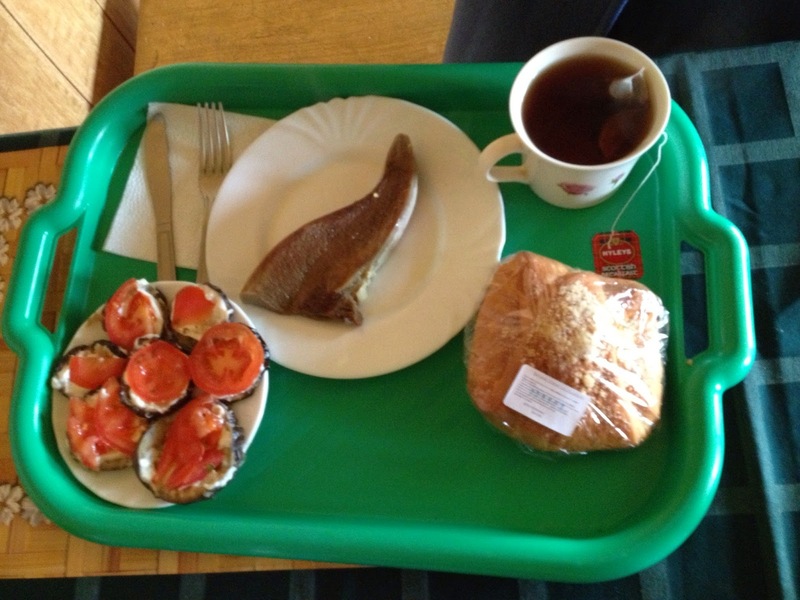 We stayed in a couple of local homesteads and had a bed for the night plus evening meal and breakfast fro 10 euro. Everything on the table came from the local land - fresh and delicious! My host was a jovial retired Yak bomber pilot. I had no Russian, he had no English but nevertheless we got on like 'a house on fire'. Through an interpreter I asked why there were no pictures of his aircraft in the house. I'd explained that my father worked for NATO Intelligence and said 'no matter he'll have plenty'. This prompted much laughter and another round of toasts. I will cover the rest of our road trip in Part II ... to be continued. Click here for the Siege of Kaliningrad City (1945). 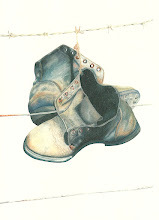 Click here for the Heiligenbeil Pocket (1945). Click here for the Evacuation from Pillau (1945). 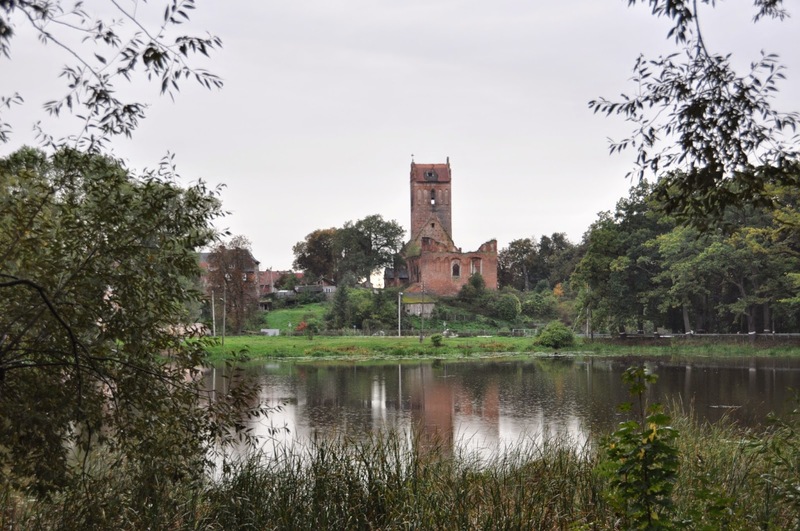 Click here for the full Kaliningrad Oblast Photo Set.